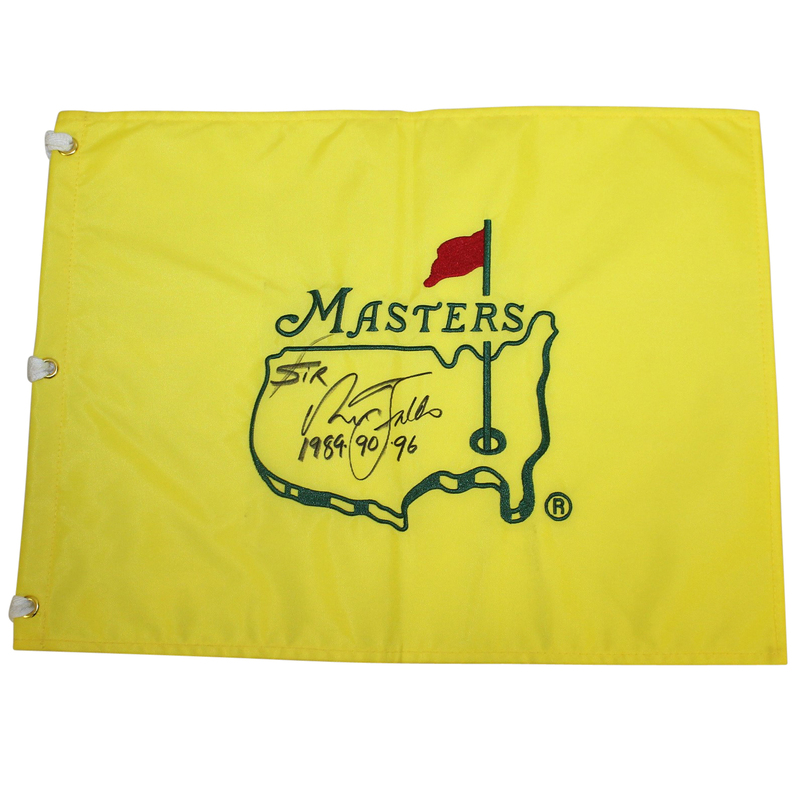 A three time winner at The Masters, Nick Faldo leaves his signature on the coveted undated Masters embroidered flag. Faldo signed in black Sharpie, leaving a clear and perfect autograph in the center of the logo, along with an inscription on the years he won at Augusta, 1989, 1990, and 1996. 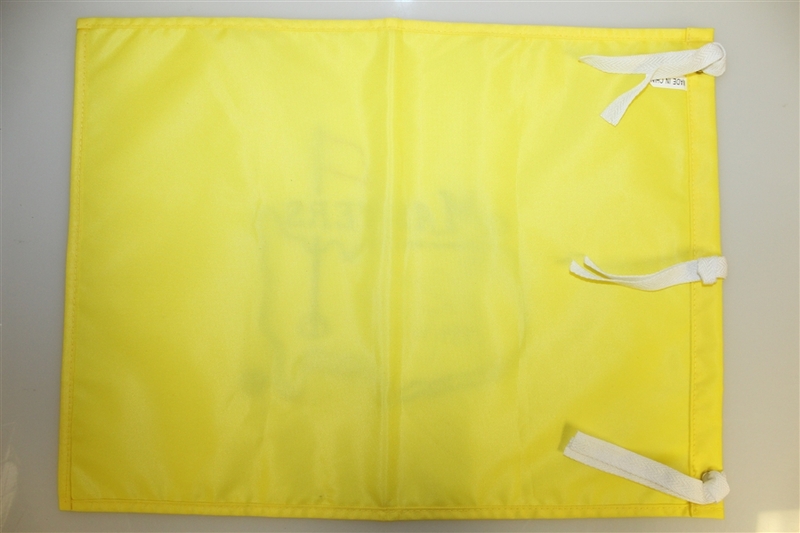 The title "Sir" also precedes his signature, making this an even more seldom seen piece.